Most people like to know about the company and people who provide the services they need. Here we will tell you about ourselves and our company. The objective of our business is to bring accuracy and integrity to all your real estate decisions by providing expertise that you can rely on. Our services can be customized to meet your specific needs, and we invite you to call us. Often a problem is not as complex as it seems when you have the opportunity to discuss it with an expert. We hope you enjoy visiting our web site and using our services. We take pride in offering you a unique and comprehensive real property decision-making service in Northeast British Columbia, and welcome queries by e-mail or telephone. We are a small, family-owned real estate consulting business. Each of us offers you over 30 years' experience in land use decision making. Elvin Gowman offers expertise gained in the BC Government as a land inspector for Ministry of Crown Lands, a Regional Property Agent for Ministry of Highways, and a land use specialist at the management level for Highways Aboriginal Affairs, and Ministry of Crown Lands Commercial Recreation. He has a comprehensive knowledge of the land use decision making process, as well as a strong interest in First Nations Issues and their impact on land use. His formal education includes a Diploma in Real Estate Appraisal, university level courses in First Nations Studies, as well as management and technical training. He is intimately familiar with the geography of the Peace River and Northern Rockies regions. Elvin offers research, due diligence investigation, negotiation, public presentation and stakeholder consultation skills. 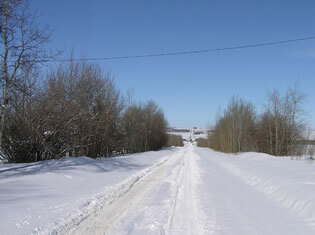 Taking the road less travelled to bring accuracy and integrity to your real estate decisions. Anne Clayton brings 20 years' experience in property tax assessment, from working at BC Assessment at the field, supervisory and management level. She was Manager of the Peace River Office from 1997 to 2007, and her areas of expertise include specialization in oil and gas and farm assessment. As well, Anne acquired varied real estate expertise including sales, private practice appraisal, right of way negotiation for Ministry of Highways, and project management gained as a housing and community facilities officer for Indian and Northern Affairs Canada. 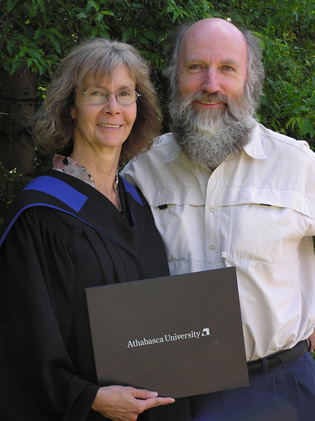 Anne holds post-secondary diplomas in appraisal and public sector management. In 2006 she completed her MBA Applied Project on the subject of industrial property taxation in northeast BC. She offers research, negotiation, point-in-time appraisal, property assessment review and appeal, due diligence investigation, negotiation and public presentation services.